“Orphaned into the household of her Aunt Reed at Gateshead, subject to the cruel regime at Lowood charity school, Jane Eyre nonetheless emerges unbroken in spirit and integrity. Jane Eyre is by far one of the best books I have ever had the pleasure of reading. Its chunky size, impressive reputation, and classical prestige was intimidating at first, which is why I put off reading it for the longest time. If I can offer one bookish piece of advice, it’s READ JANE EYRE ASAP. I definitely regret not reading it sooner! I have only positively positive things to say about this book, so buckle yourself in for a review saturated in adoration and affection! Let’s start with the star of the show: Jane Eyre. Jane is quite possibly my favorite main character/narrator ever. I can relate so much to what she was feeling, and the relevancy of her emotions and ideas really surprises me. For example, Jane doesn’t want a man to dress her up in fancy clothing and treat her like his pet. She wants to be treated like an equal, like an independent woman who happens to be married to the man she loves. Judging by the rising popularity of the recent feminism movement, it seems as though many women nowadays share similar ideals to what Jane believes. Also, Jane is often referred to as “plain”, however she does not let that title stop her from wanting to achieve greater things. Her attitude is very much that of “Just because I’m plain doesn’t mean I’m not worth it,” which I just love. Jane is witty, stubborn, hard-working, strong, thoughtful, caring, and compassionate, making her an excellent role model for readers of all ages. Another reason Jane Eyre is the fictional bomb is that her narration of the story is perfection. One of my favorite things in books is when the narrator addresses the reader directly. I think it does wonders for the connection between the reader and the story, and besides, who doesn’t like to feel as though the narrator is telling the story only to you? That’s the vibe I got while reading Jane Eyre, and it was fantastic. The story itself is absolutely brilliant, marvelously captivating, and written in a way that’s extremely accessible to readers. There are countless plot twists that I never saw coming (*cough* Grace Poole *cough*), and not once did I find it boring or dull. The inclusion of Jane’s childhood years helps the reader really understand why Jane is the woman she later becomes. You understand the terrible atmosphere of Gateshead, and the oppressiveness of Lowood helps to explain why Jane appears so quiet and reserved at first glance. Few novels can beat the comprehensive look at a character’s life that this classic offers of Jane Eyre. And the ending. Oh, the wonderful ending! I don’t want to spoil it for anyone who hasn’t read it yet (but really, please read it soon! ), so I’ll just speak very vaguely about it. If you’re looking for a stereotypical, flawless happily-ever-after conclusion to Jane Eyre, then you’ve come to the wrong classic novel. The ending is certainly bittersweet, although it is ultimately more sweet than sour. The entire novel is amazing, but the ending really solidifies Jane Eyre’s position as renowned masterpiece of literature. Of course, the one thing everyone wants to know about this book is the romance. Was it lovely? Was it believable? Was Mr. Rochester a worth fictional man? The answer to those questions is a resounding YES, my friends. Mr. Rochester and Jane love each other so genuinely for their personalities alone that it made me burst into a silly smile on multiple occasions. Their relationship is not perfect, but it’s just so darn honest that it can’t be anything but beautiful. 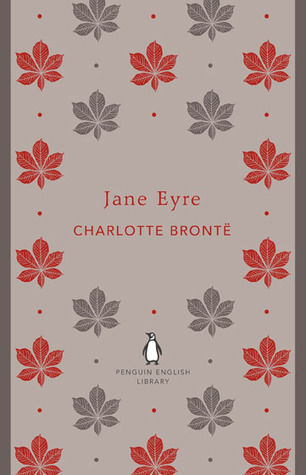 Overall, Charlotte Bronte’s classic novel Jane Eyre is a pure pleasure to read. It exceeded my expectations in every single regard and opened my eyes to how interesting and dimensional classic romance novels can be. However, it is so much more than solely a romance: it’s a genre-bending tale of growing up, heartache, self-acceptance, and forgiveness with a supernatural element thrown in for good measure. I cannot recommend this novel enough!! Would I recommend it to a friend? : A friend? I would recommend this book to a stranger if they asked! This book is a must-read for anyone and everyone, in my opinion! Have you ever read this book before? What did you think of it? What other classic novels would you recommend? Let me know in the comments section below! I’ve always been so intimidated of books like Jane Eyre because of – as you mentioned – it’s reputation as a fantastic classic. I always thought that I’d read this book and feel pressured that if I didn’t like it my taste in books isn’t as classy as They say its suppose to be. But your reviews for me thinking that maybe I would enjoy it. That if I just went into it thinking it was any other book I may really like it. I think I am actually going to give it a shot! Exactly! That’s a big reason why I love it so much: it’s incredibly accessible, in a way that I was totally not expecting. I thought it would be a bit of a slog to read, but I absolutely loved the writing! This is one of my absolute favorites! It’s a go-to classic recommendation for me, because, as you said, it’s a must-read for anyone and everyone 🙂 Lovely review! Thanks for the review this is on my TBR list and now my reading life will not be complete until I read it.